RICHLAND, Wash. — When Tim Snider arrived on Enewetak Atoll in the middle of the Pacific Ocean to clean up the fallout from dozens of nuclear tests on the ring of coral islands, Army officers immediately ordered him to put on a respirator and a bright yellow suit designed to guard against plutonium poisoning. A military film crew snapped photos and shot movies of Snider, a 20-year-old Air Force radiation technician, in the crisp new safety gear. Then he was ordered to give all the gear back. He spent the rest of his four-month stint on the islands wearing only cutoff shorts and a floppy sun hat. "I never saw one of those suits again," Snider, now 58, said in an interview in his kitchen here as he thumbed a yellowing photo he still has from the 1979 shoot. "It was just propaganda." Today, Snider has tumors on his ribs, spine and skull — which he thinks resulted from his work on the crew, in the largest nuclear cleanup ever undertaken by the U.S. military. Roughly 4,000 troops helped clean up the atoll between 1977 and 1980. Like Snider, most did not even wear shirts, let alone respirators. Hundreds say they are now plagued by health problems, including brittle bones, cancer and birth defects in their children. Many are already dead. Others are too sick to work. The military says there is no connection between these illnesses and the cleanup. Radiation exposure during the work fell well below recommended thresholds, it says, and safety precautions were top notch. So the government refuses to pay for the veterans' medical care. Congress long ago recognized that troops were harmed by radiation on Enewetak during the original atomic tests, which occurred in the 1950s, and should be cared for and compensated. Still, it has failed to do the same for the men who cleaned up the toxic debris 20 years later. The disconnect continues a long-standing pattern in which the government has shrugged off responsibility for its nuclear mistakes. On one cleanup after another, veterans have been denied care because shoddy or intentionally false radiation monitoring was later used as proof that there was no radiation exposure. A report by The New York Times last spring found that veterans were exposed to plutonium during the cleanup of a 1966 accident involving U.S. hydrogen bombs in Palomares, Spain. Declassified documents and a recent study by the Air Force said the men might have been poisoned and needed new testing. But in the months since the report, nothing has been done to help them. For two years, the Enewetak veterans have been trying, without success, to win medical benefits from Congress through a proposed Atomic Veterans Healthcare Parity Act. Some lawmakers hope to introduce a bill this year, but its fate is uncertain. Now, as new cases of cancer emerge nearly every month, many of the men wonder how much longer they can wait. The cleanup of Enewetak has long been portrayed as a triumph. During the operation, officials told reporters that they were setting a new standard in safety. One report from the end of the cleanup said safety was so strict that "it would be difficult to identify additional radsafe precautions that could have been taken." Documents from the time and interviews with dozens of veterans tell a different story. Most of the documents were declassified and made publicly available in the 1990s, along with millions of pages of other files relating to nuclear testing, and sat unnoticed for years. They show that the government used troops instead of professional nuclear workers to save money. Then it saved even more money by skimping on safety precautions. Records show that protective equipment was missing or unusable. Troops requesting respirators couldn't get them. Cut-rate safety monitoring systems failed. Officials assured concerned members of Congress by listing safeguards that didn't exist. And though leaders of the cleanup told troops that the islands emitted no more radiation than a dental X-ray, documents show they privately worried about "plutonium problems" and areas that were "highly radiologically contaminated." Tying any disease to radiation exposure years earlier is nearly impossible; there has never been a formal study of the health of the Enewetak cleanup crews. The military collected nasal swabs and urine samples during the cleanup to measure how much plutonium troops were absorbing, but in response to a Freedom of Information Act request, it said it could not find the records. Hundreds of the troops, though, almost all now in their late 50s, have found one another on Facebook and discovered remarkably similar problems involving deteriorating bones and an incidence of cancer that appears to be far above the norm. A tally of 431 of the veterans by a member of the group shows that of those who stayed on the southernmost island, where radiation was low, only 2 percent reported having cancer. Of those who worked on the most contaminated islands in the north, 20 percent reported cancer. An additional 34 percent from the contaminated islands reported other health problems that could be related to radiation, like failing bones, infertility and thyroid problems. Between 1948 and 1958, 43 atomic blasts rocked the tiny atoll — part of the Marshall Islands, which sit between Hawaii and the Philippines — obliterating the native groves of breadfruit trees and coconut palms and leaving an apocalyptic wreckage of twisted test towers, radioactive bunkers and rusting military equipment. Four islands were entirely vaporized; only deep blue radioactive craters in the ocean remained. The residents had been evacuated. No one thought they would ever return. In the early 1970s, the Enewetak islanders threatened legal action if they didn't get their home back. In 1972, the U.S. government agreed to return the atoll and vowed to clean it up first, a project shared by the Atomic Energy Commission, now called the Department of Energy, and the Department of Defense. The biggest problem, according to Energy Department reports, was Runit Island, a 75-acre spit of sand blitzed by 11 nuclear tests in 1958. The north end was gouged by a 300-foot-wide crater that documents from the time describe as "a special problem" because of "high subsurface contamination." The island was littered with a fine dust of pulverized plutonium, which if inhaled or otherwise absorbed can cause cancer years or even decades later. A millionth of a gram is potentially harmful, and because the isotopes have a half-life of 24,000 years, the danger effectively never goes away. The military initially quarantined Runit. Government scientists agreed that other islands might be made habitable, but Runit would most likely forever be too toxic, memos show. So federal officials decided to collect radioactive debris from the other islands and dump it into the Runit crater, then cap it with a thick concrete dome. The government intended to use private contractors and estimated the cleanup would cost $40 million, documents show. But Congress balked at the price and approved only half the money. It ordered that "all reasonable economies should be realized" by using troops to do the work. Safety planners intended to use protective suits, respirators and sprinklers to keep down dust. But without adequate funding, simple precautions were scrapped. Paul Laird was one of the first service members to arrive for the atoll's cleanup, in 1977. Then a 20-year-old bulldozer driver, he began scraping topsoil that records show contained plutonium. He was given no safety equipment. "That dust was like baby powder. We were covered in it," Laird, now 60, said during an interview in rural Maine, where he owns a small auto repair shop. "But we couldn't even get a paper dust mask. I begged for one daily. My lieutenant said the masks were on back order so use a T-shirt." By the time Laird left the islands, he was throwing up and had a blisterlike rash. He got out of the Army in 1978 and moved home to Maine. 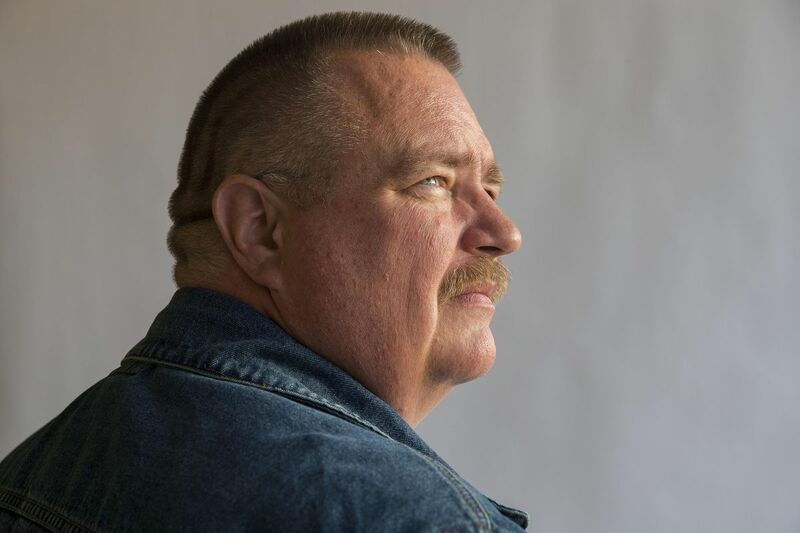 When he turned 52, he found a lump that turned out to be kidney cancer. A scan at the hospital showed he also had bladder cancer. A few years later, he developed a different form of bladder cancer. 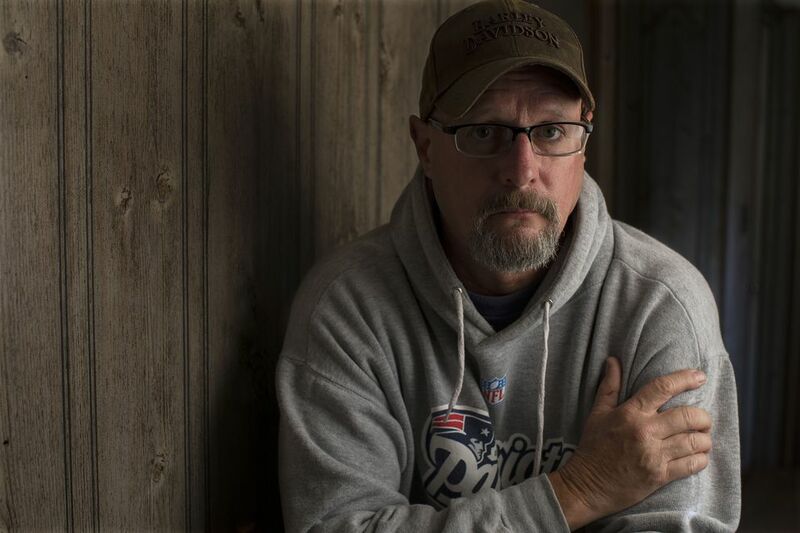 His private health insurance covered the treatment, but co-payments left him deep in debt. 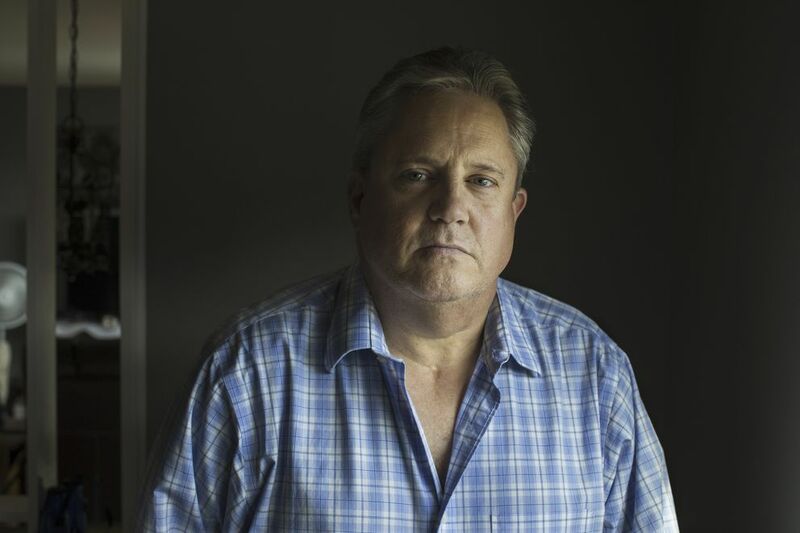 He applied repeatedly for free veterans' health care for radiation, but was denied. His medical records from the military all said he had not been exposed. 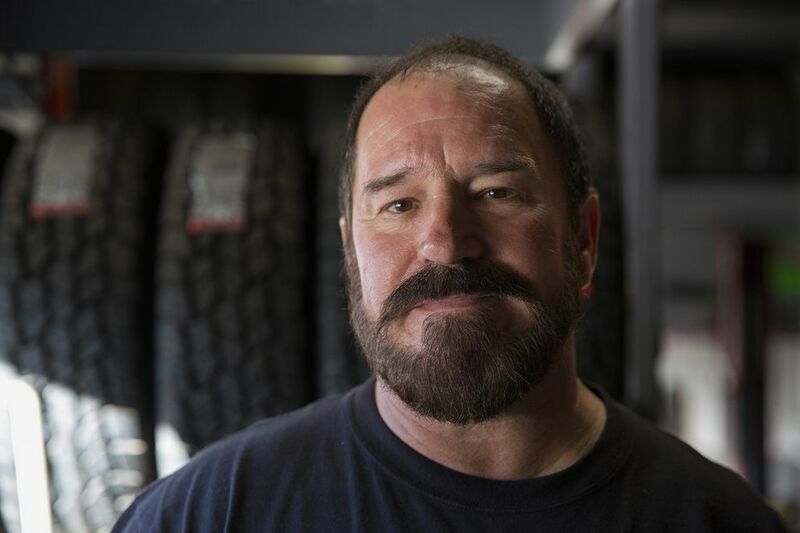 "When the job was done, they threw my bulldozer in the ocean because it was so hot," Laird said. "If it got that much radiation, how the hell did it miss me?" As the cleanup continued, federal officials tried to institute safety measures. A shipment of yellow radiation suits arrived on the islands in 1978, but in interviews, veterans said the suits were too uncomfortable to wear in the tropical sun, and the military told them that it was safe to go without them. The military tried to monitor plutonium inhalation using air samplers. But they soon broke. According to an Energy Department memo, in 1978, only a third of the samplers were working. All troops were issued a small film badge to measure radiation exposure, but government memos note that humid conditions destroyed the film. Failure rates often reached 100 percent. Every evening, Air Force technicians scanned workers for plutonium particles before they left Runit. Men said dozens of workers each day had screened positive for dangerous levels of radiation. "Sometimes we'd get readings that were all the way to the red," said one technician, David Roach, 57, who now lives in Rockland, Maine. None of the high readings were recorded, said Roach, who has since had several strokes. Two members of Congress wrote to the secretary of defense in 1978 with concerns, but his office told them not to worry: Suits and respirators ensured the cleanup was conducted in "a manner as to assure that radiation exposure to individuals is limited to the lowest levels practicable." Even after the cleanup, many of the islands were still too radioactive to inhabit. In 1988, Congress passed a law providing automatic medical care to any troops involved in the original atomic testing. But the act covers veterans only up to 1958, when atomic testing stopped, excluding the Enewetak cleanup crews. If civilian contractors had done the cleanup and later discovered declassified documents that show the government failed to follow its own safety plan, they could sue for negligence. Veterans don't have that right. A 1950 Supreme Court ruling bars troops and their families from suing for injuries arising from military service. The veterans' only avenue for help is to apply individually to the Department of Veterans Affairs for free medical care and disability payments. But the department bases decisions on old military records — including defective air sampling and radiation badge data — that show no one was harmed. It nearly always denies coverage. "A lot of guys can't survive anymore, financially," said Jeff Dean, 60, who piloted boats loaded with contaminated soil. Dean developed cancer at 43, then again two years later. He had to give up his job as a carpenter as the bones in his spine deteriorated. Unpaid medical bills left him $100,000 in debt. "No one seems to want to admit anything," Dean said. "I don't know how much longer we can wait, we have guys dying all the time."